HomeWhich of Our Grandchildren Will Be Jewish in This Age of Intermarriage? Which of Our Grandchildren Will Be Jewish in This Age of Intermarriage? This year marks the 25th anniversary of the announcement of stunningly high rates of intermarriage among American Jews. In 1991, analyzing the National Jewish Population Survey, distinguished researchers Barry Kosmin and Sidney Goldstein reported a rate of 52%. Although I estimated the intermarriage rate at around 40%, there was no questioning indisputably high rates. The news of high and mounting intermarriage provoked several salutary responses. We saw increased investment in Jewish education by Federations and some newly arrived major foundations (Jim Joseph, Schusterman, Avi Chai and the Andrea and Charles Bronfman Foundation, for example). We also saw more scholarships for Jewish camps and more camp building, as well as expanded campus work by Hillel and Chabad. Birthright Israel, Masa, Moishe Houses, PJ Library and more recently OneTable, Honeymoon Israel and Base Hillels may well owe their initiation at least in part to the sense of dis-ease associated with the intermarriage challenge. So, how are we doing? With 25 years of passion and planning, investment and innovation behind us, have we changed the demographic contours for the better? Is the rate of intermarriage declining? Are the grandchildren of inter-group marriages likely to be raised as Jewish, let alone as committed Jews? Unfortunately, the news is still quite disheartening. Two years ago this month, the Pew Research Center’s Portrait of Jewish Americans reported an intermarriage rate of 58% and an even higher level — 72% — for all those outside Orthodoxy. And the data reveal another troubling phenomenon: Intermarriage in one generation stimulates intermarriage in the next. Those with in-married parents — including those who identify as Jews today and those who do not so identify — report an intermarriage rate of 41%. For those with one Jewish parent, the intermarriage rate almost doubles, reaching 90%. As for the children and grandchildren of intermarriage, the Pew data provide a unique opportunity to assess trends over three generations. Unlike most other Jewish population studies, the Pew survey included all the adult offspring of one or two Jewish parents, and not only those identifying as Jews. To assess the long-range trends, I examined the Pew respondents with one or two Jewish parents who have children under 18 at home — 1.5+ million people in all, once we set aside the demographically distinctive Haredi Orthodox. Notwithstanding all the efforts at welcoming and engaging the intermarried over the years, the data still point to dramatic demographic losses over the generations owing to intermarriage. The most encouraging news pertains to those with inmarried parents who are themselves inmarried. They’re raising 94% of their children as Jews-by-religion, and under 3% as non-Jews. Unfortunately, things are far different among all the others: people who are intermarried now, the children of intermarried, or both. But things are different for those with one Jewish parent who are themselves in-married. Among them, just 61% are raising their children in the Jewish religion, and 7% are raising them as non-Jews. Turning to the currently intermarried respondents whose parents were both Jews, the rate of raising children as Jews-by-religion plummets to a paltry 24%, with even more (27%) being raised as non-Jews. And, finally, for the intermarried adult-children of intermarried parents, only 5% are raising Jews-by-religion children, with fully 68% being raised as non-Jews — not surprising, as these children have only one Jewish grandparent. To be clear, when we speak here about in-marriage, we are including marriages of born-Jews to each other, as well as born-Jews to Jews-by-choice (be they rabbinic converts or non-rabbinic switchers). Significantly, conversionary in-marriages (one born-Jew + one Jew-by-choice) raise their children as Jews-by-religion slightly more often than born-Jews-only in-marriages (two born Jews). And therein lies a policy implication: encouraging non-Jewish spouses to convert, or to come to think of themselves as Jews. Clearly, the Jewish community has a strong interest in conversion institutes and other ways of encouraging or facilitating the adoption of Jewish identities by non-Jewish spouses of Jews. But the larger implications of the dramatic population losses among the children of two-generational intermarriage ought to be clear as well. Efforts to welcome, engage and educate the already-intermarried are admirable and necessary. But as we energetically include the intermarried in our families, congregations, Homeland, and communities, we also should not lose sight of many effective instruments of Jewish engagement in the adolescent and young adult years (many of which have been shown to improve the chances of in-marriage) — a policy goal as worthy as engaging the already-intermarried. No American ethnic group has successfully persisted in the face of mounting inter-group marriage, a phenomenon that is self-generating. No American religious group — outside a few of the most fervent and sectarian — has escaped annual losses in worshippers and adherents. American Jews are trying to overcome overwhelming odds. We do ourselves no favors by minimizing, if not denying, the indisputable adverse impact of intermarriage on the demographic future of Jewry outside of Orthodoxy. In addition to welcoming and engaging the intermarried, we need to keep our eye on the many programs and policies that produce higher rates of in-marriage, as well as extending opportunities for non-Jews who are members of our Jewish families to become members of the Jewish people. 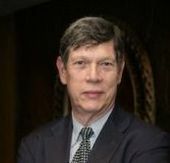 Steven M. Cohen is Research Professor at Hebrew Union College-Jewish Institute of Religion and Director of the Berman Jewish Policy Archive at Stanford University. This story "Which of Our Grandchildren Will Be Jewish in This Age of Intermarriage?" was written by Steven M. Cohen.